Prichard’s Distillery was revived from the annals of history back in 1997 by Phil Prichard, Master Distiller of the operation and a fifth-generation descendant of Benjamin Prichard, who distilled whiskey in the hills of Tennessee back in 1822. 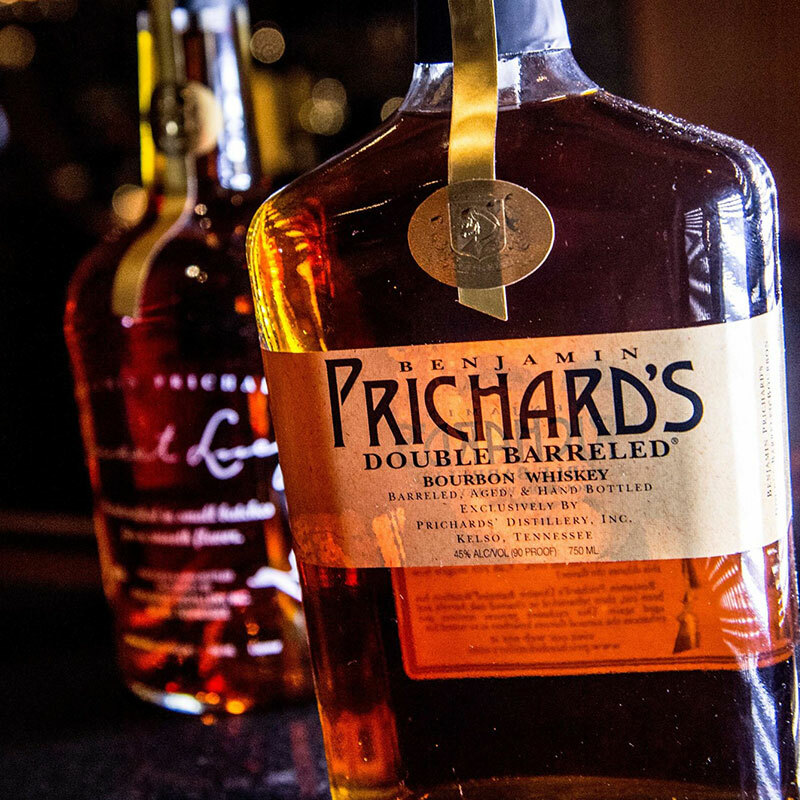 Prichard’s bourbon came on the scene in 2001 as a limited offering and has stuck around. Their current operation is located in Kelso, Tennessee. “A bourbon from Tennessee? !” you say? Well anyone who has been on the bourbon scene for long knows that bourbon is not based on geography. As long as you are distilling in the United States of America and following The Federal Standards of Identity for Distilled Spirits (27 C.F.R. 5), you can call your product bourbon. It took me quite a while to get around to tasting Prichard’s bourbon. I had seen some visceral responses from some of the guests I had served it to, and while I don’t put too much stock in the reactions of new bourbon drinkers, it gave me cause to pause. I wasn’t too much more encouraged by the nose. It is not uncommon to get whiffs of ethyl alcohol, gasoline, and even swamp gas from some fine bourbons. I got all three of these from Prichard’s bourbon. You will read reviews online that talk about aromas of vanilla, apples and light cinnamon. I didn’t get anything but subdued aromas of peat, alcohol, and a little honey – but not much. To the credit of this bourbon, I appreciate bourbons with masculinity, so the notes aren’t a complete turn-off. Unfortunately, the first taste was a complete turnoff. Peaty, pungent, ill structured and awkward are the first words to come to mind. The things that make a really great bourbon stand out are restrained and subdued in Prichard’s. Prichard’s bourbon claims to be the only bourbon that is “double barreled”, that is aged and then removed from its old barrel and re-aged in another new 15 gallon barrel to reinforce their bourbon’s wood notes, and the wood notes are definitely there. The finish is surprisingly short and disappointing. Not what I was expecting. In fact, Prichard’s is not what I was expecting, considering this product is marketed as a premium bourbon whiskey. Benjamin Prichard’s Double Barreled Bourbon won a double gold medal by judges for The 50 Best, but the other whiskeys on the list are suspect, so I wouldn’t put much stock in the award. I can say it definitely doesn’t get a gold medal from us. For its price and its character, the highest grade that I would award Prichard’s Double Barreled bourbon is a C-. Prichard’s bourbon isn’t quite pot swill, but its definitely an acquired taste. Try it before you buy it, otherwise you will be trying to get rid of it in creative ways. The Prichard’s operation has produced some outstanding New England style rums (like the delicious Prichard’s Private Stock, a rum that has been aged in small fifteen gallon casks for 14+ years), but when it comes to bourbon making, Prichard’s has some work to do. We look forward to any improvements the company makes to its yeast procurement or mash bill in the future, but for now our grade stands. What do you think? Have you tried Prichard’s bourbon? If so, comment below.